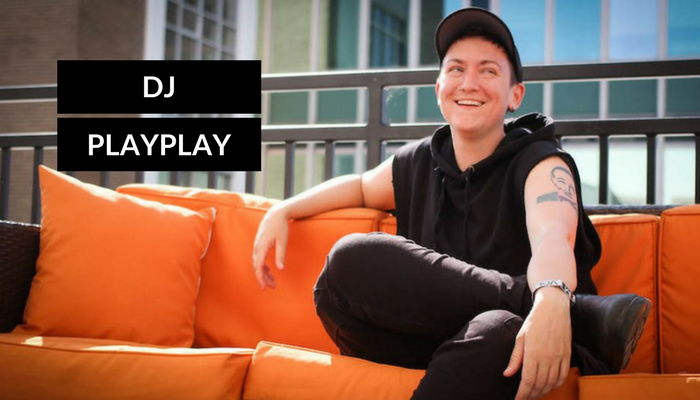 North Carolina’s Jess Dilday goes by PlayPlay, a club producer and one of the organizers behind the monthly queer friendly party called Party Illegal. 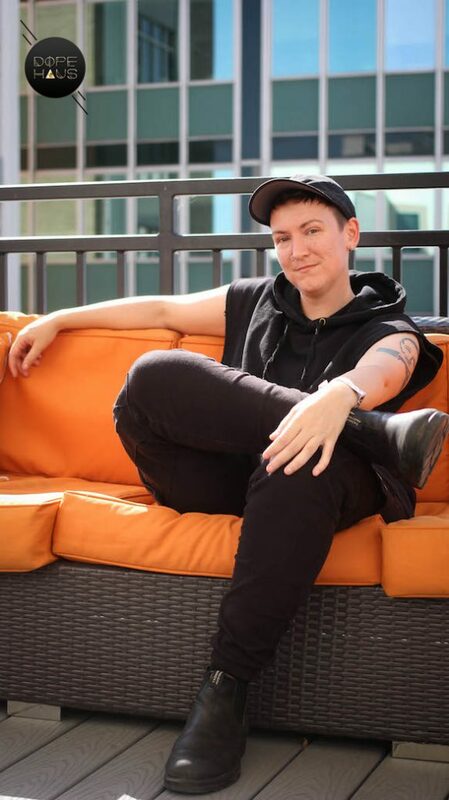 Jess chatted with DOPE HAUS host Chico Mendez after their Moogfest set about Durham’s queer music scene and their work teaching DJ skills at the University of North Carolina. DOPE HAUS: Not only did you play at Moogfest but you also lead a DJ workshop for women and gender non-conformers. 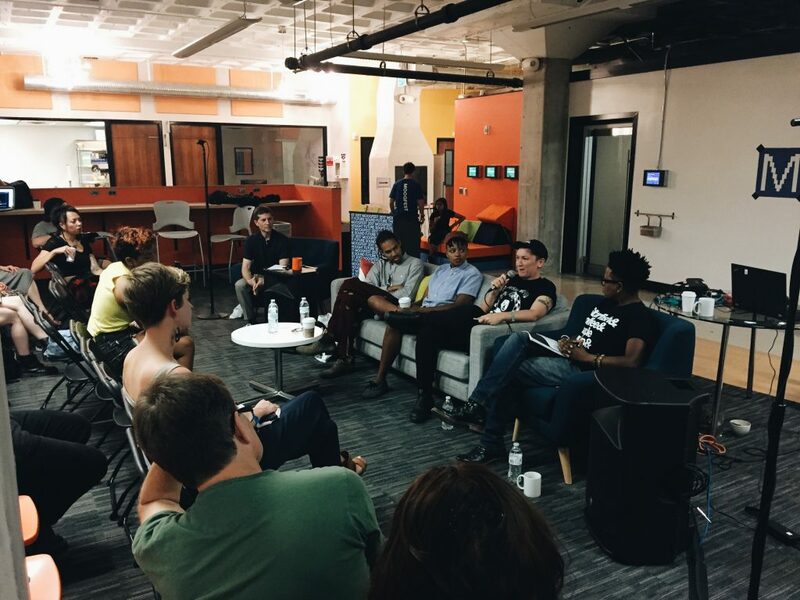 Why is it important to hold space for marginalized communities to learn about electronic music production? PLAYPLAY: I was trying to learn to DJ back when I was 18, but couldn’t get on the decks because all of the dudes were hogging it. I’d ask them, “Can I try?” They just ignored me. Even now as a DJ I get that treatment a lot. It’s not something men always intend to do and not everybody is like that, of course. It’s always been a dynamic. I wanted a space where women and gender non-conforming people can come and not have the conversation be dominated by cis-men and be able to experiment without the pressure of feeling watched. I had a lady come up to me after the workshop and tell me, “I would’ve never tried any of the equipment if there had been men there.” It was interesting, I thought it was only me who felt this way at first. 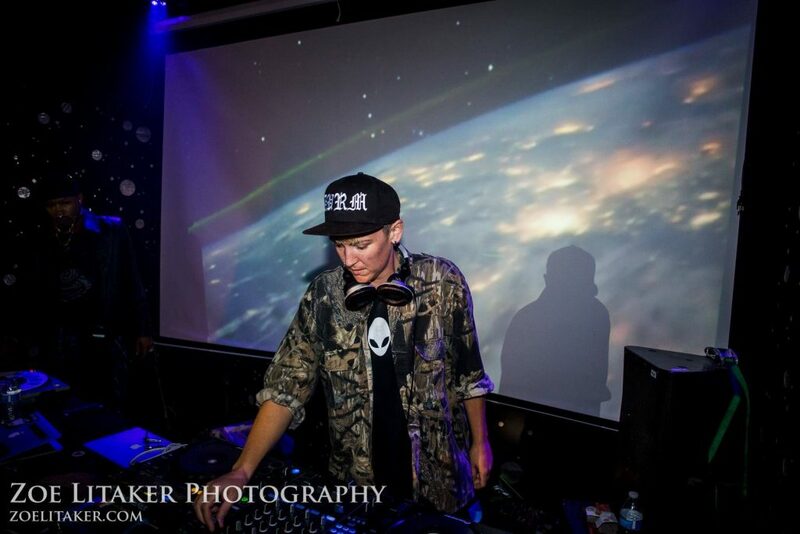 But every time I talk to a female or gender non-conforming DJ, that’s their story too. DOPE HAUS: How would you explain that dynamic to someone who doesn’t understand how women and gender-non conformers can feel uncomfortable in that environment? PLAYPLAY: Imagine growing up and feeling that way about most things. Being spoken over in class or even dating people who talk over you, any situation where you’re socialized to be quieter. To grow up only seeing men do the techy things, the electronic things. We’re still socialized like that. I wanna say we’re past gender but unfortunately the social construction of norms and discrimination based on one’s perceive gender is still going strong. When you grow up like that, of course you’re going to have some reticence to learning technology around men. Even a few days ago, a sound guy hopped in and asked if I needed help, he assumed I didn’t know how to plug in my equipment. In that kind of environment, it can be intimidating, especially if you’ve had one bad experience. It can make people shy away from jumping in. DOPE HAUS: What’s Party Illegal about? PLAYPLAY: Party Illegal started four years ago, it’s a collective of five people. We do monthly shows at the Pinhook. The focus is on giving marginalized people spaces to feel safer. We can’t guarantee complete safety but we strive to make it safer by posting flyers that promote consent culture. We also walk the floors to make sure everybody is OK throughout the night and checking in with people. Party Illegal also focuses on celebrating musical diversity in electronic music. We wanted to create a more musically radical party than what we’ve seen in Durham. Editor’s note: Party Illegal is currently on hiatus but still throw occasional pop up shows. 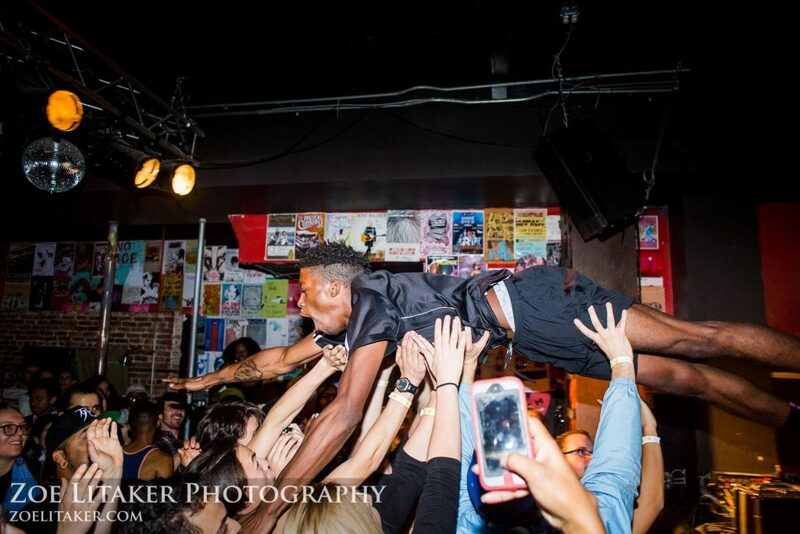 DOPE HAUS: What’s the local scene in Durham, North Carolina like? PLAYPLAY: It’s pretty rad. I know there’s a lot of prejudice against North Carolina. If you step outside Durham, Asheville, Chapel Hill or Greensborough, you’ll get the stereotypical North Carolina. Sometimes I don’t want to step outside my car as a gender non-conforming person. Durham is such a radical space, there’s so much organization and activism here that’s really important. DOPE HAUS: What do you teach at the University of North Carolina (UNC)? PLAYPLAY: UNC has a music program with a hiphop studies curriculum. ‘The Art and Culture of the DJ” is the class I teach. I bring turntables to class and people hop on. I also teach the history of DJing, I talk about how the technology has changed throughout the years. We have CD-Js and controllers that the students can play with. We are going to start incorporating Ableton into the lessons too. I have a few classes set aside to talk about the importance of LGBTQ+ communities in dance music and club culture. And the plight of women and gender non-conforming DJs in the scene which is still super cis white male dominated, even in 2017. Just look at any festival lineup. Not Moogfest though. DOPE HAUS: Tell me about the moment you knew you wanted to be a DJ. PLAYPLAY: The first time I touched the decks! The person who taught me to DJ was also academic, she had a syllabus ready on how to learn to DJ. She found me in the club dancing and I kept coming in and carrying her records. She was like, “You wanna DJ?” I was like, “Yeah!” She let me practise on her records at her place. I remember once I made a perfect blend. I was like, “Ooooh my God! !” It was like a high. At that point I knew I had to keep doing it. At first I was scared to DJ in front of people in clubs but I just kept doing it. The first time I packed a dancefloor was when I knew I was going to do this forever. PLAYPLAY: It’s great that Moogfest is providing a platform to local Durham artists. I would push for more of that. There’s such an elevating of people from New York, Los Angeles and big cities. There’s so much talent in these smaller towns. It would be interesting to start booking people hidden from all around. If you book the same people over and over again, it seems lazy after a while. I’d like to challenge bookers to look around instead of relying on rosters. That’s how we’re going to find more women and gender non-conforming people who are producing and DJing actively.